Angelenos don’t expect a white Christmas, but festive events like The Hollywood Christmas Parade, Knots Merry Farm and the Bob Baker Marionettes Holiday Show mean there’s no shortage of fun for families. However, some LA solo adventurers, couples and family groups choose this time of year to jet off to reunite with family near and far — or simply for a change of scenery that recharges them for another year. If you’re planning a winter getaway, you might need some advice on dream destinations, pre-flight activities and airport food and drink. With that in mind, whether you’re escaping to domestic or foreign horizons this holiday season, here are seven hacks for LAX travelers. If you want to jet off for a few days in a traditional winter wonderland, Norway offers Snowsports, fjord cruises, reindeer and several Santa’s grottos. Find out more about Norwegian festive activities at visitoslo.com — there’s something for everyone. You probably won’t need to wrap up in cozy clothes for a Hawaiian holiday vacay, but you’ll still get in the spirit with a Christmas dinner cruise in Honolulu, feast at Diamond Head Luau or Christmas Eve service at Waikiki Baptist Church. Check out gohawaii.com for more ideas for an island-based holiday celebration. With ice skating at The Rockefeller Centre, the Macy’s Parade and the NYE Times Square Ball Drop, New York City is one festive destination that just doesn’t quit. For more about where to stay and what to do in the Big Apple, visit nycgo.com. If you’re heading off on vacation with your family, cruise to the airport in your own ride rather than using public transport — it makes for a much more chilled-out pre-flight experience. But be sure to book LAX airport parking on Looking4.com in advance so that your vehicle is stowed safely until you return. 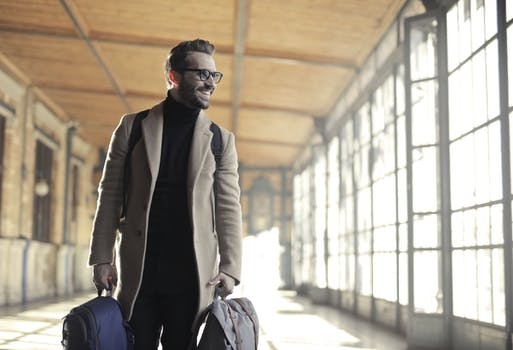 Once you’re inside the airport, fighting your way through hectic holiday crowds can really spoil the festive vibe, but pre-booking an airport lounge puts paid to unnecessary stress. Search SkyTeam.com before you leave home and reserve yourself a serene sanctuary at LAX complete with comfortable seats, showers and cool cocktails. LAX is one of the world’s more interesting airports, thanks in no small part to its iconic UFO-shaped Theme Building and observatory. The spider-shaped building is a super example of 60s Space Age architecture and offers amazing views of the airport and beyond — if you’re bored by delays, head here to pass the time. When all else fails, food is one surefire way to make a frustrated family satisfied — especially if there are a few hours to spare prior to boarding. But search for food deals in and around LAX on Groupon.com and you’ll save swathes of cash for spending on desirable activities at your destination. These seven hacks for LAX travelers will help you plan the perfect escape from LA this Christmas — pick those that suit you best and start prepping. Do you have any LAX travel tips? Share them in the comments section.